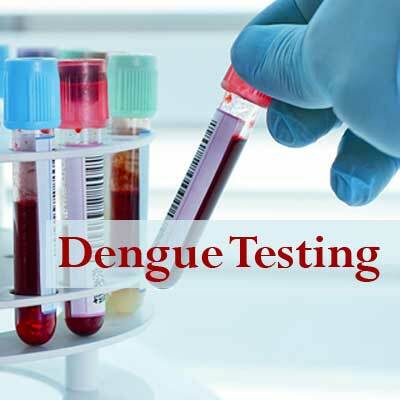 Gurugram: Private Hospitals will not be allowed to declare/confirm a patient suffering from dengue, based on their own test results, a new directive issued by the Haryana Health Minister states. The brilliant,hon,HealtMin will not only burn his fingers but he will also help Doctors to get their Hospitals to burnt down,if not his life,apart from endangering PTS life. 1.Why the same Elisa test can not be done at Pvt Hospitals ? 2. Who is going to collect the blood samples ? 3.Will the concerned DHO send his personnel for sample collection ? To give One simple example,suppose the sample gets hemolysed,due to any reasons,what about the delay in re-collection? who is going to take the responsibility ? What if PTts condition deteriorates in the meanwhile ? Whose responsibility will that be ? What if the pt dies in the meanwhile ? What will happen to the Doctor who is treating the case ? 2.LET HIM CAP THE TEST CHARGES OR EVEN BETTER TO DO WILL BE TO SUPPLY THE TEST KITS TO ALL PVT HOSPITALS,FREE OF COST AND SEE THAT THESE TESTS ARE DONE FREE OF COST BY THE HOSPITALS !! 3.IF HE REALLY FEELS THAT THE ELISA TEST IS SO EXTA ORDINARY THAT PVT HOSPITALS DO NOT POSSESS THE QUALIFICATIONS FOR PERFORMING THIS SIMPLE TEST,LET HIM BAN PVT HOSPITALS FROM HANDLING THE DENGUE FEVER CASES AND MAKE IT MANDATORY FOR ALL PVT HOSP TO REF EVERY SUSPECTED CASES OF DENGUE OR DENGUE- LIKE FEVERS TO THE NEAREST GOVT HOSP.AT LEAST WE WILL HAVE SOME PEACEFUL NIGHTS SLEEP .